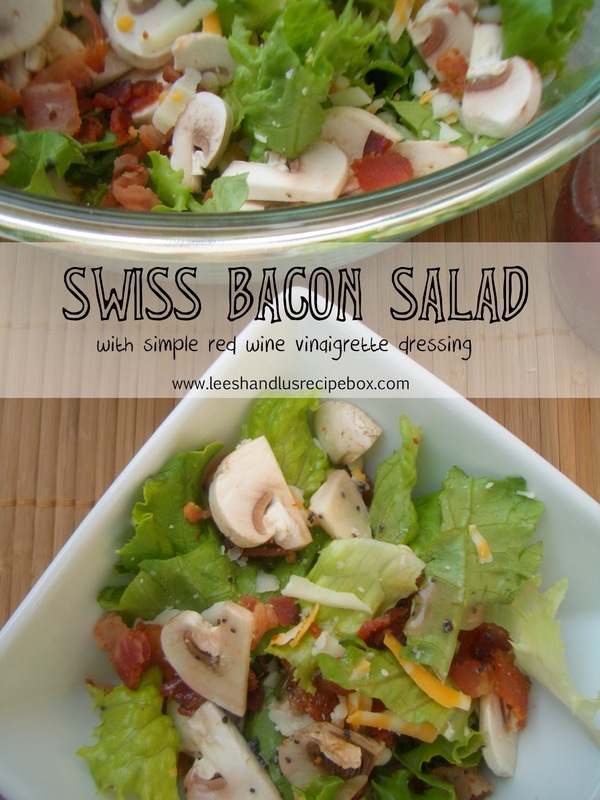 If I had to pick a favorite green salad, this one would probably be the winner. 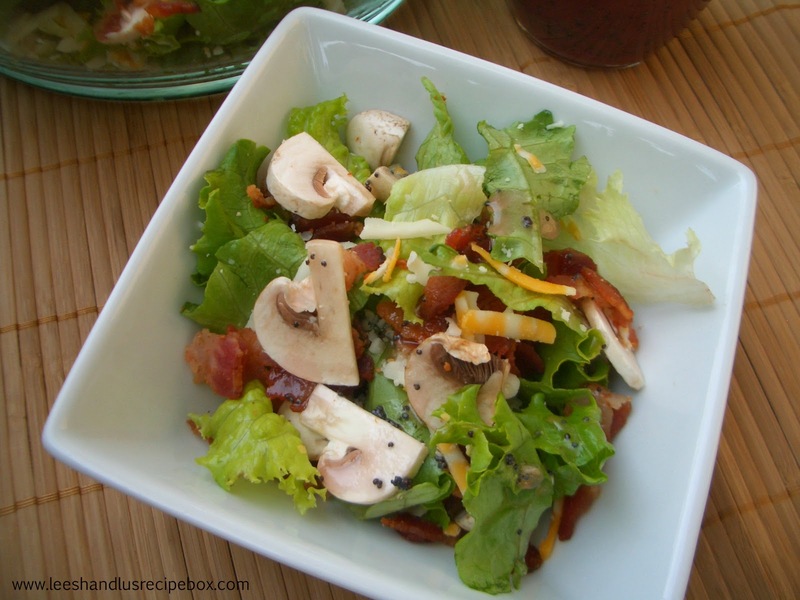 The sweet and tangy dressing, the mushrooms, the salty bacon--it's all just too much. I love it. Even my hubby, Jeff, loves it. And he's not a salad guy. So that is definitely saying something. If you ask him, he will tell you the only 3 food groups that matter are bread, meat, and cheese. But if I *make* him choose a salad, he always chooses this one. It's a crowd-pleaser and comes together really quickly. Make it. Love it. Then come back and tell me about it. Combine all dressing ingredients. Toss greens and toppings with dressing. (You may not need all of the dressing.) Serve immediately. Feel free to use your favorite greens. I usually use all spinach or a spring mix, but it would be delicious with a leaf lettuce or romaine or a mixture, too. If you have a hard time finding swiss cheese in block form, you can cut pre-sliced swiss into small strips or use another type of cheese. Pictured here is colby jack. My mom, Diana King, has made this as long as I can remember! Have you ever added fruit to this salad?